If you're a newcomer to spirituality, would you like to know about the evidence that your soul consciousness will survive without your physical body, and that you have many lives? Would you like to understand why you reincarnate, and what that means for how to approach your everyday life? And would you like to learn about your true relationship to God? Or if you're a more experienced spiritual seeker, would you like to unravel the enigma of being part of All That Is and yet also an individual soul? And would you like to understand the oft-misunderstood interplay between experience and illusion, and between conscious creation and active surrender? It’s only now that we can finally answer all these questions and more using a spiritual framework that is logical, coherent and philosophically elegant. One that unites a modern scientific discovery with ageless spiritual wisdom in a simple yet revolutionary new concept... that of the holographic soul. Is there more to life than just the material world? Do we possess a soul that survives our death? Who or what is God? Are we all One, and is everything just an illusion? 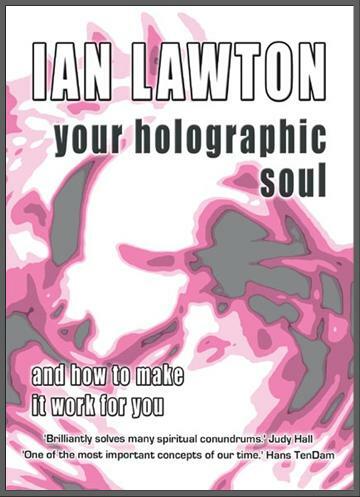 In what way are our souls holographic? Why is the universe here at all? Do we have many lives? Forget karma, experience is all that matters. Strive to be motivated by love, not fear. Take personal responsibility for everything. Search for the contentment within. Love yourself first. Come from the heart, not the head. Drop the mask and face up to your lower self. Consciously create the future you desire. Actively surrender to the universe. Use your soul rather than human perspective.